A summer MUST-Do activity in my book, is to Tie Dye something. 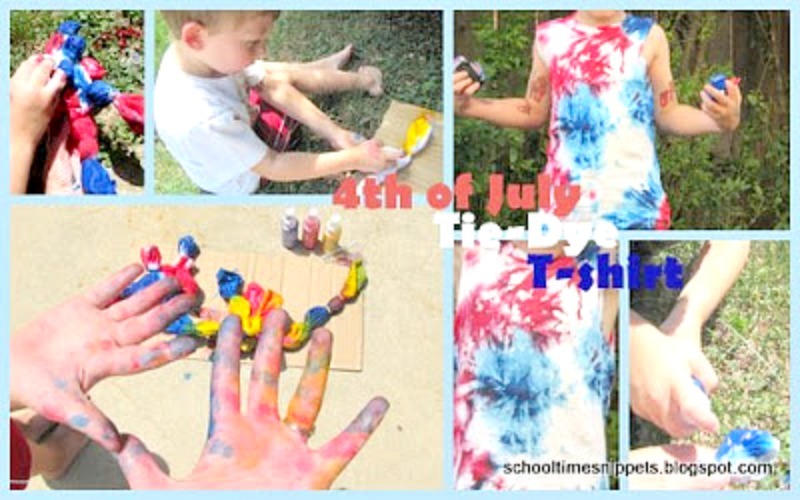 For us that meant making my son his very own Tie Dye Tshirt for the 4th of July! I thought it would be fun to tie-dye a shirt this year. 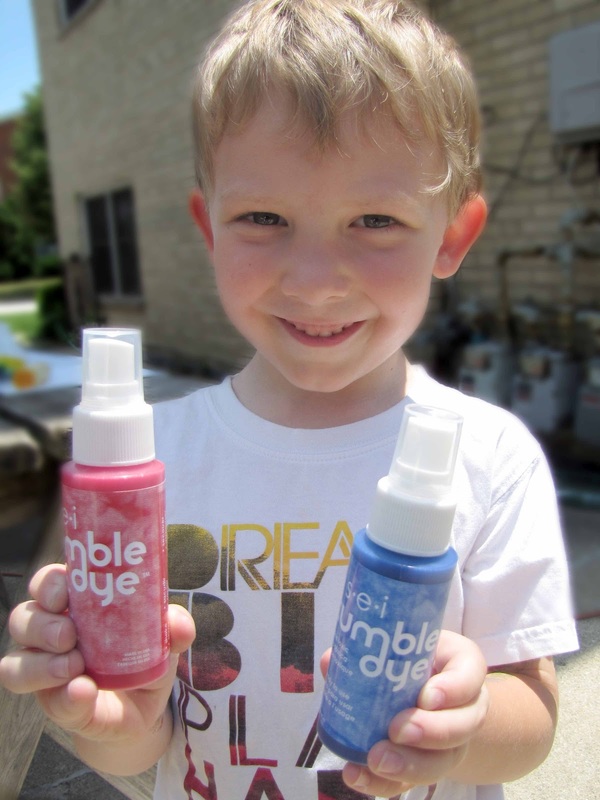 I picked up a white sleeveless shirt at Walmart for $3-4 and a few days later we picked up some S.E.I brand tie dye spray. Though it's still a few weeks out, Big Brother was SO excited about doing it that we've already made it. He's worn his shirt several days in a row (and would keep doing so if I hadn't buried it in the dirty laundry!). We also made a pillow case that turned out really cool, too. Be prepared... tie-dye= big ol' MESS! It was a lot of fun though! I didn't buy gloves, so our hands were nice and colorful, too! Be sure to wash your tshirts in cold water before tie-dying! Then, follow the directions on the package and have fun! The shirt is on the right side and the yellow, blue, and red tie dye is a pillowcase! That turned out super cool, too! What is a Summer MUST DO activity for you? ?